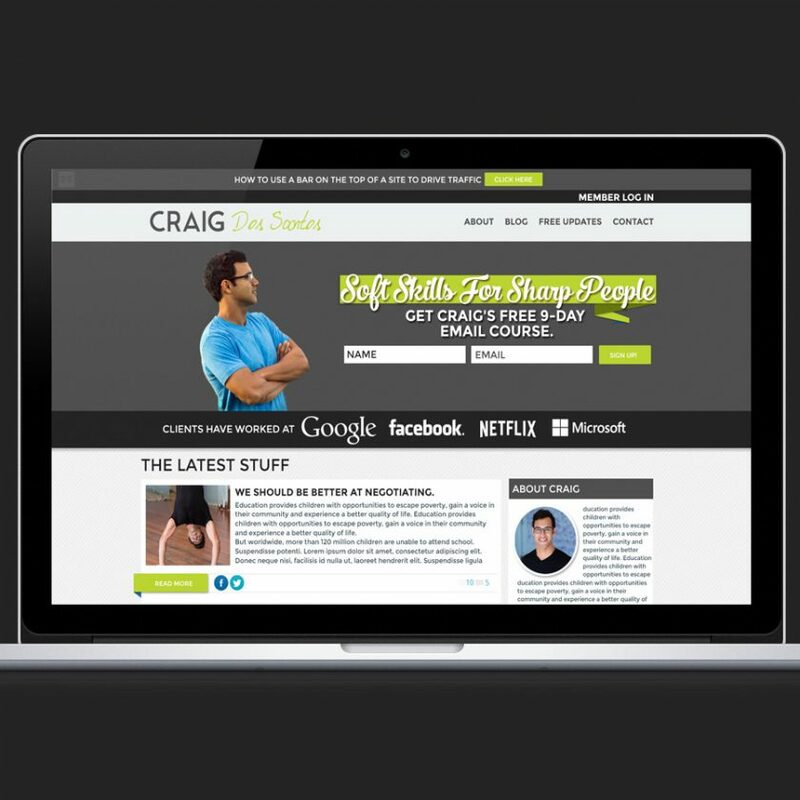 Website design concept for marketing site, Craig Dos Santos. © 2019 EMINI CREATIVE. All Rights Reserved.